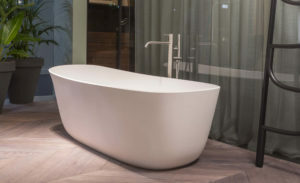 Freestanding oval bathtub made of Cristalplant®. 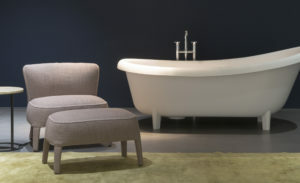 Other: Available with exterior lacquering in colours from Antonio Lupi colour swatch. 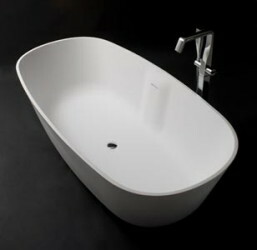 BAÍA bathtub. A masterpiece by antoniolupi. 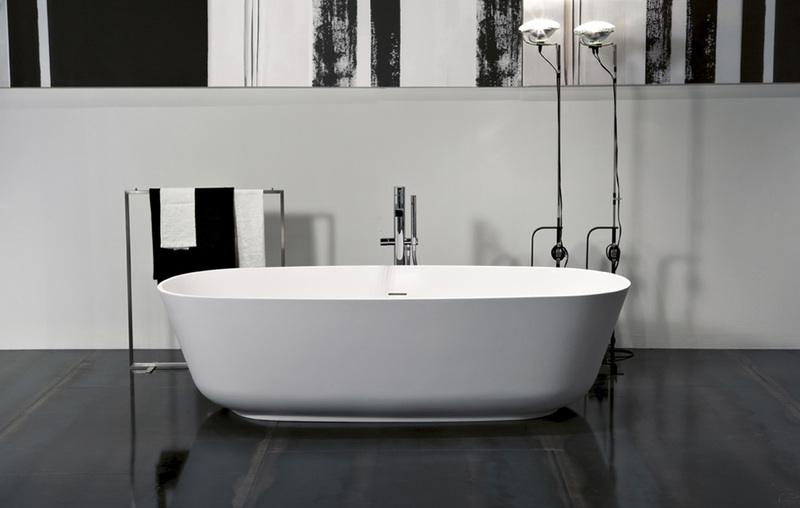 Its pure, organic shape, has marked the design industry by re-imagining the freestanding bathtub. 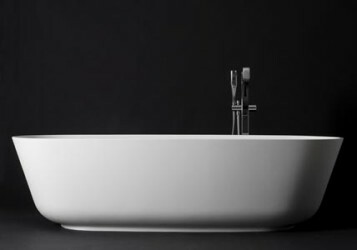 Clean and elegant design harmony and minimalism marked by the use of Cristalplant or enriched by unique shades and unrepeatable trace when made of stone. 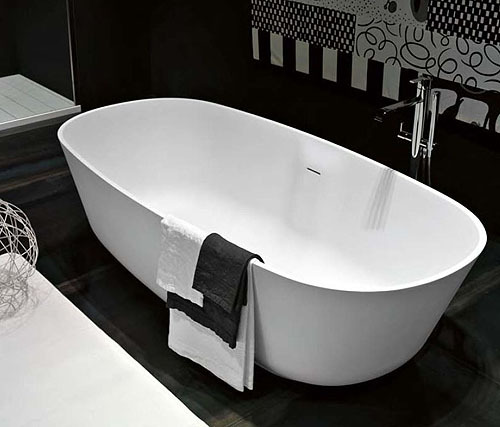 Thin borders guaranteed by the use of solid surface significantly increase with natural stone. 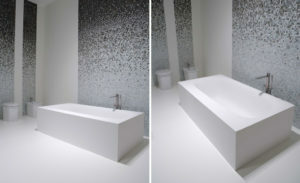 The ethereal presence and the candor of Baia in the artificial version give way to solid and concrete luxury of stone. 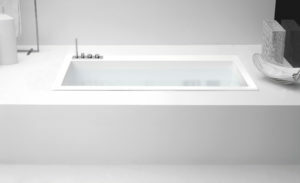 The smaller version guarantees lightness to the composition and breaks the continuity of the volume. Please contact us for shipping information. Products usually ship in 12-14 weeks.